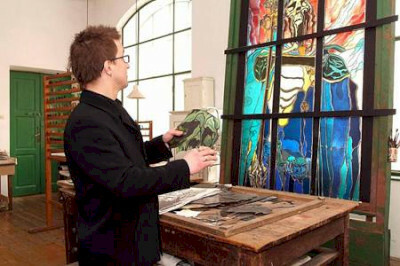 The unique Polish Stained Glass Museum is located in Krakow and apart from hosting a permanent exhibition, also demonstrates the process of creating stained glass, which has remained unchanged for centuries. In the Sta­ined Glass Museum, exhi­bi­tion spa­ces inter­twine with the old sta­ined glass work­shop, func­tio­ning since 1902. 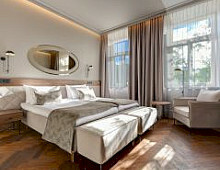 The visi­tors can obse­rve the pro­cess of sta­ined glass cre­ation, a tech­ni­que which rema­ins unchan­ged since Mid­dle Ages. The buil­ding where the Museum is loca­ted was desi­gned espe­cially for the needs of this oldest Polish sta­ined glass work­shop. Its struc­ture too has rema­ined unchan­ged since 1902: every cham­ber has its own func­tion in the sta­ined glass pro­duc­tion pro­cess. This “living” Museum’s visi­ting trail runs thro­ugh the house inte­riors that pre­se­rved its ori­gi­nal cha­rac­ter with the uni­que fur­ni­shing and work­shop equipment. The regular visits to the Museum can be offered to individual clients as well as groups. 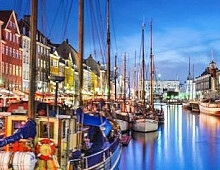 For incentive groups a regular visit can be enriched with additional attractions such as: workshops with masters, dinners at the museum as well as evening concerts.